Affordable semi-automatic stem cutting & crown fitting machine from the 30-year watch maker Xonix is here. Our extensive experience in watch making is behind the design of this machine for watch production line. We used specifically designed components to ensure high reliability. With quality motor, bearing, stem holder, and cutting wheel, the tolerance of the stems are minimized to ± 0.1 mm. As precise as this machine is, it is simple structured for easy maintenance and safe to use with the controlling voltage running at 12V instead of 220V. 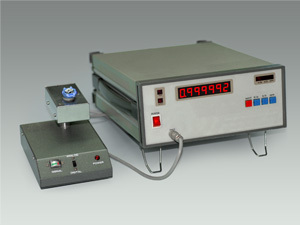 Control the accuracy of your production watches with the Xonix watch timing machine. 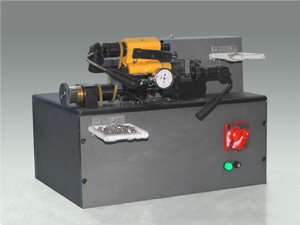 With error margin of less than ± 0.1 ppm and testing speed of 1 unit/second, this machine is ideal for production line. Three different tests, namely frequency, monthly tolerance, and PPM value, can be performed with just a push of a mode switch button.